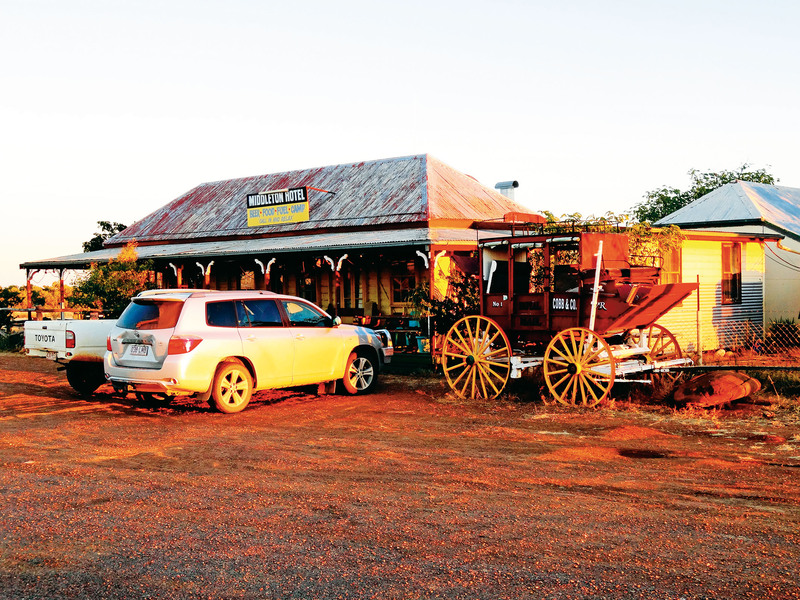 We visit 10 of the best outback pubs in Australia, each as quirky and distinctive as the land on which it sits. 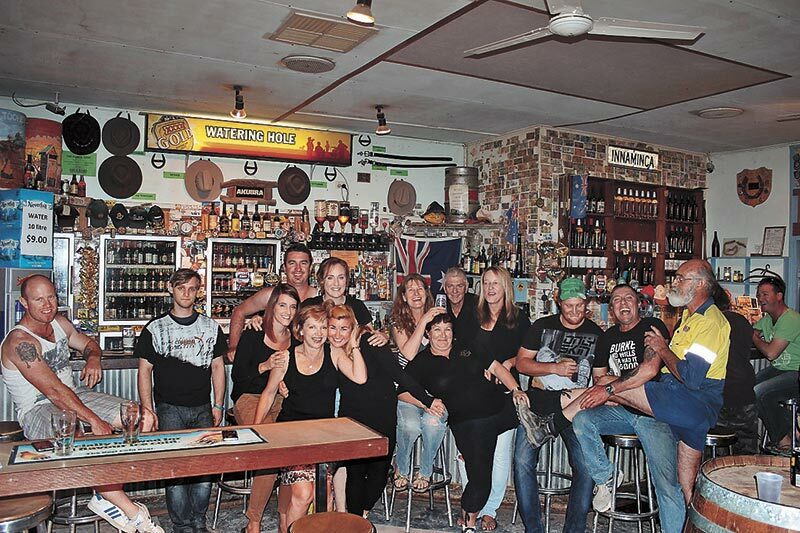 Situated on the eastern verge of the vast Simpson Desert in the heart of Queensland’s outback, this famous pub is an iconic stop for people from all walks of life, from the rich and famous who roll up in chartered planes at the airfield next door, to the average family on an outback 4WD trip. And the Birdsville Hotel does a decent counter meal, too. “It’s not your average pub grub; we aim to serve our meals with flair,” manager Kate McDonald said. “We’ll average 200 meals a night in peak season and sometimes up to 300, which is a massive night. Nothing is a surprise in this place, whether it’s a big tandem-rotor Chinook helicopter landing in the airfield, the famous personalities, the fundraising rallies that pass through or the many colourful travellers, each has a story to tell. 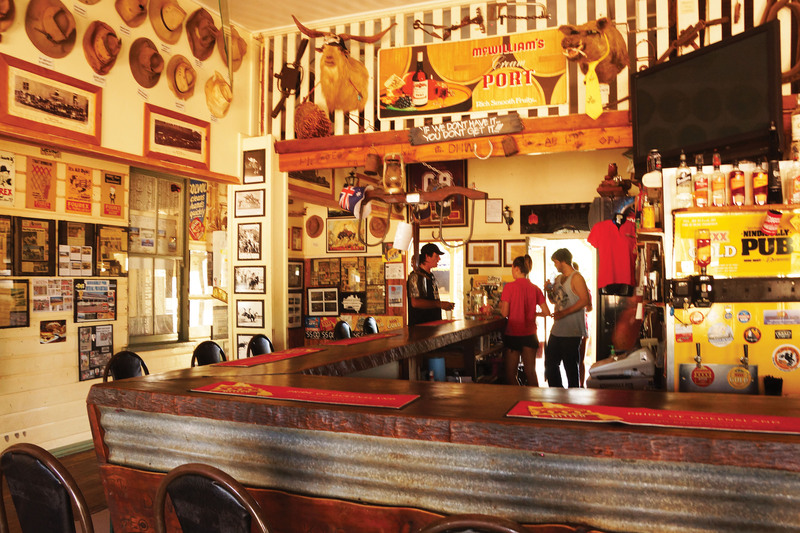 Unlike some of the other outback pubs dotted throughout Australia, the Innamincka Hotel is well-supported by contractors working in the gas fields who need accommodation, food and beer. For travellers, it’s the Cooper Creek and the historical travels of Burke and Wills that draw the crowds by road and air. It’s long been a meeting place at the top of the famous Strzelecki Track. The hotel sits 1065km north-east of Adelaide and the little settlement has a permanent population of about 12 people. It offers meals, drinks, outdoor cinema, mini golf, live music and even river cruises on Cooper Creek. 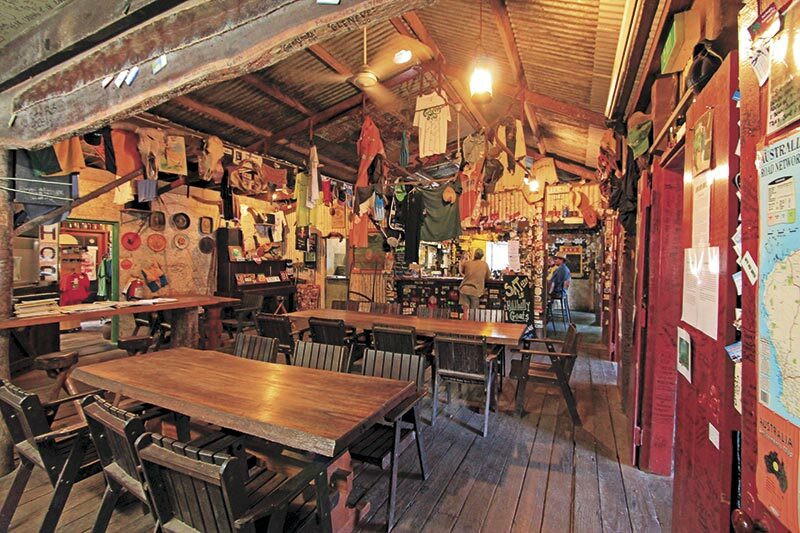 The Lions Den, just 30 minutes south of Cooktown at Helenvale, is not as remote as some outback pubs. It is on the northern leg of the Bloomfield Track, perched on one of few croc-free freshwater river systems and surrounded by rainforest. There are plenty of activities around the area to keep everyone busy and it’s on a popular tourist route for the 4WD fraternity, which slinks up the coast around the edge of the beautiful Daintree Rainforest en-route to Cape York. Beyond its natural charm, the area has plenty of mining history to discover, too. The hotel was built in 1875 of timber and iron, and it has become increasingly famous over the years for its quirky interior decorations. Location, location, location. With Alice Springs to the north, Queensland via the Simpson Desert to the east and the Flinders Ranges, Oodnadatta Track and Dalhousie Springs to the south, South Australia’s Mt Dare Hotel could well be the centre of the universe — if you’re a keen 4WDer. The hotel, a former cattle station, sits within Witjira National Park, on the western edge of the Simpson Desert just 10km south of the Northern Territory border. It’s a popular stopover for travellers from all directions. The hotel now has air-conditioned rooms and a campground and offers fuel, mechanical repairs, sat phone hire and vehicle recovery for outback travellers. 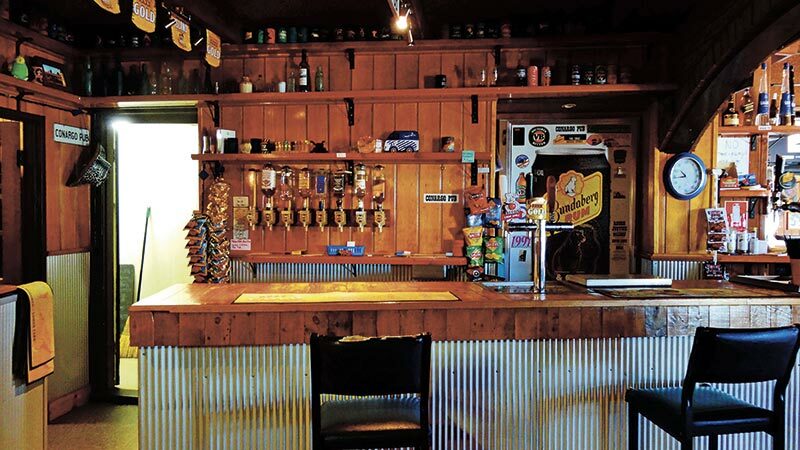 If you’re in Queensland, at a property bearing a New South Wales address, a South Australian phone number and a nine-hole golf course with three holes in each of those three states, there’s only one place you could be — the Cameron Corner Store and hotel. 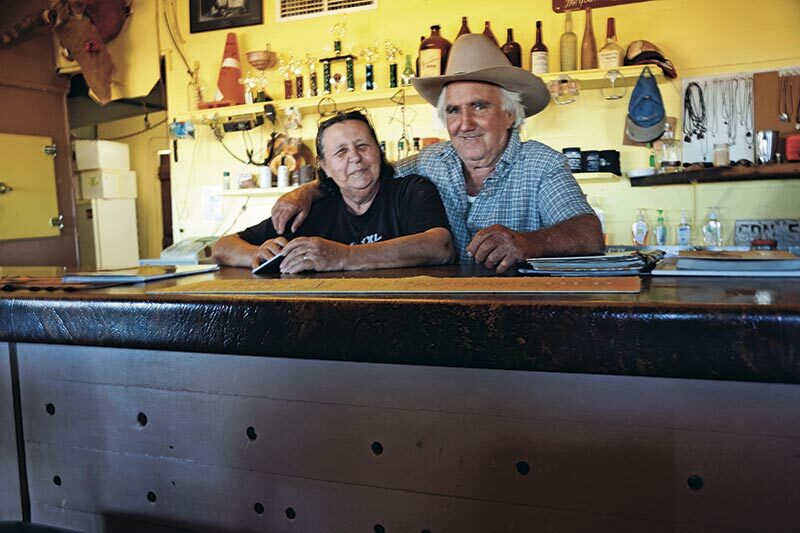 The Corner Store, managed by Fenn and Cheryl Miller, is an outback gem in the Strzelecki Desert, at the intersection of three states. Apart from supplying the usual meals, accommodation, camping, fuel, basic supplies and mechanical repairs, the Millers also provide recoveries. Without mains power, all this is achieved via a large solar array and a generator, and the closest supplies are almost 500km away. But there is bush hospitality in spades. 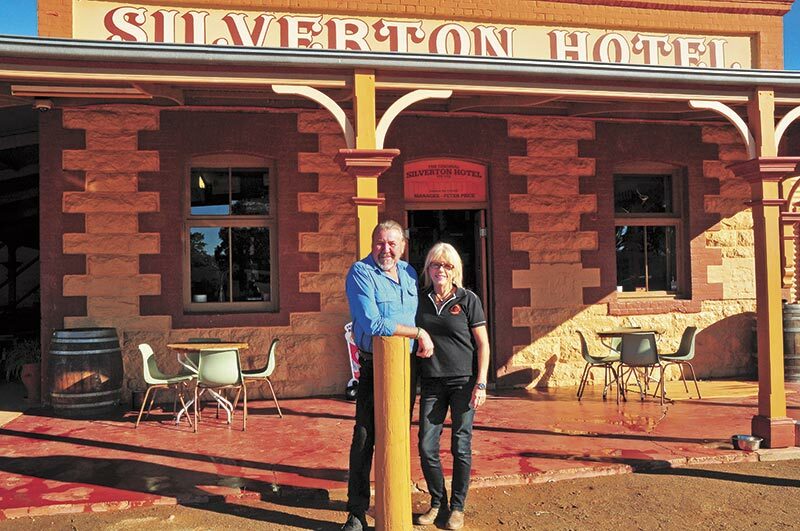 Just 25km from Broken Hill, Peter and Patsy Pace are living the dream as owners of the Silverton Hotel. The hotel, in the old post office, is the heart and soul of the community and hugely popular due to its laidback country style and hospitality. Peter and Patsy have a real connection with Silverton. While it’s a hard grind working seven days a week, they love the lifestyle, sharing the history of the area and meeting new people. 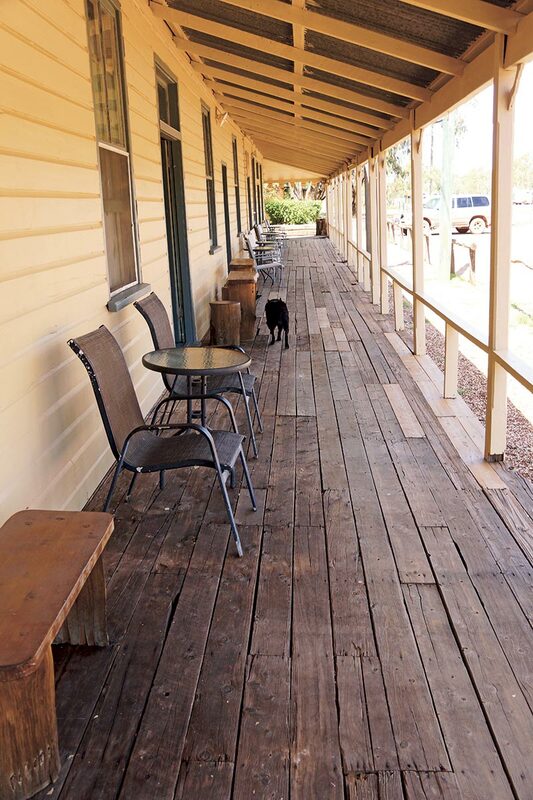 The Noccundra Hotel in far south-west of Queensland was built in 1882 from sandstone blocks brought by camel train from either South Australia or New South Wales, depending on which book you read (but hundreds of kilometres in any case). It has been continuously licensed since and stands in proud isolation in the flat rocky countryside. For such a building to survive long-term in such a harsh environment, it needs to be lived in and loved. Meals have been re-introduced and their barbecued steaks are legendary. The pub was previously owned by Kerry Packer, who managed to have a wall removed and the bar enlarged to a more useable size: not so easy in a heritage-listed building. Fortunately, he was not involved in the gambling industry in those days and poker machines were not introduced. Deniliquin proclaims itself the “ute capital of the world”. 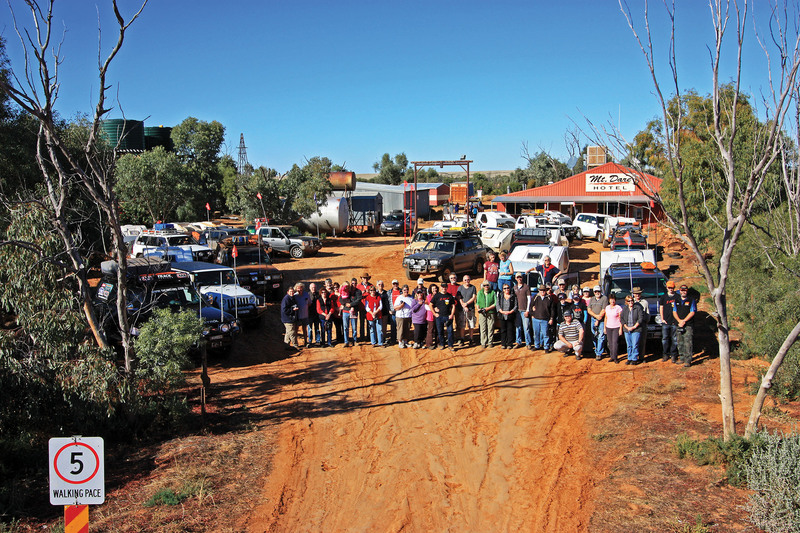 In 2010, the Deniliquin Ute Muster set a new world record and took a spot in The Guinness Book of World Records for a parade with the largest number of legally-registered utes (10,152). In 2000, the community erected a Holden WB ute on a pole in the middle of town, beside the river. In 2005, another community project created a work of art by covering an FB Holden ute in mosaic. 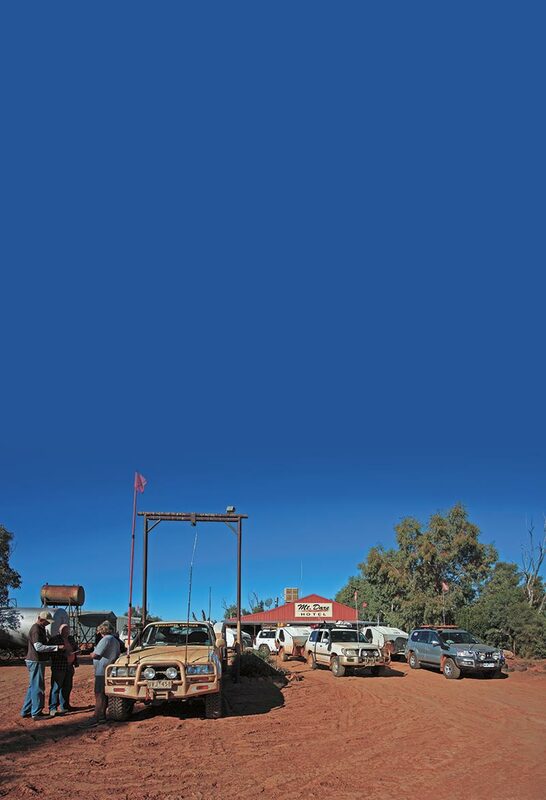 The yearly festival has gone from strength to strength and the nearby Conargo Hotel is a big part of the festivities, having become synonymous with the ute muster. The Conargo Hotel was apparently built in 1867, although the date on the facade is 1853. It was originally known as the Billabong Hotel as it was on Billabong Creek, which is a tributary of the Murrumbidgee River. 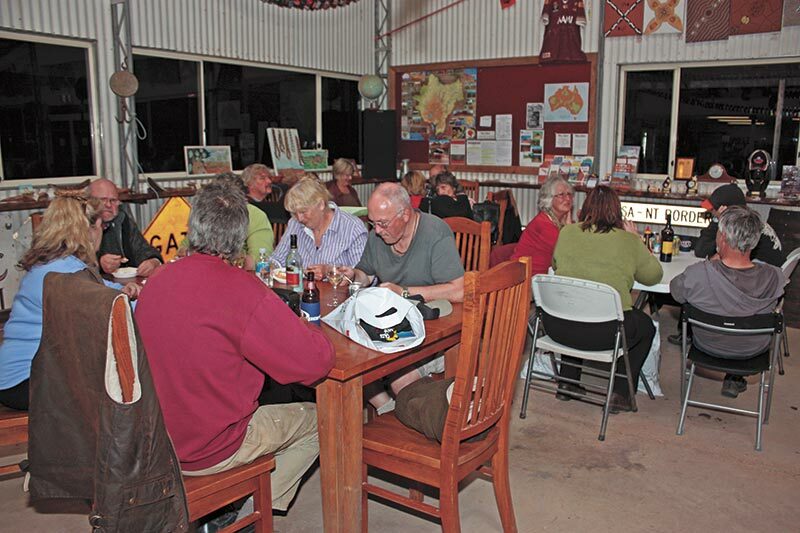 The Nindigully pub is 45km south of St George, Qld. It is reputedly the oldest continually-licensed pub in Queensland, being first licensed when it was constructed in 1864. Across the road from this historic pub is a popular free camping area, which extends along the Moonie River for a long way. This iconic pub was a Cobb & Co staging post from the late 1880s until the early 1900s. It is still in close to original condition, although some fibro walls have now been replaced with timber. Like all good renovations, the eye is not drawn to the new areas. The original sawn timber walls remain and are a nice feature. Lunch and dinner are available every day, and the hotel is known for its giant hamburgers, particularly the 5.7kg “road train” burger — the challenge is to eat it all in just one sitting! 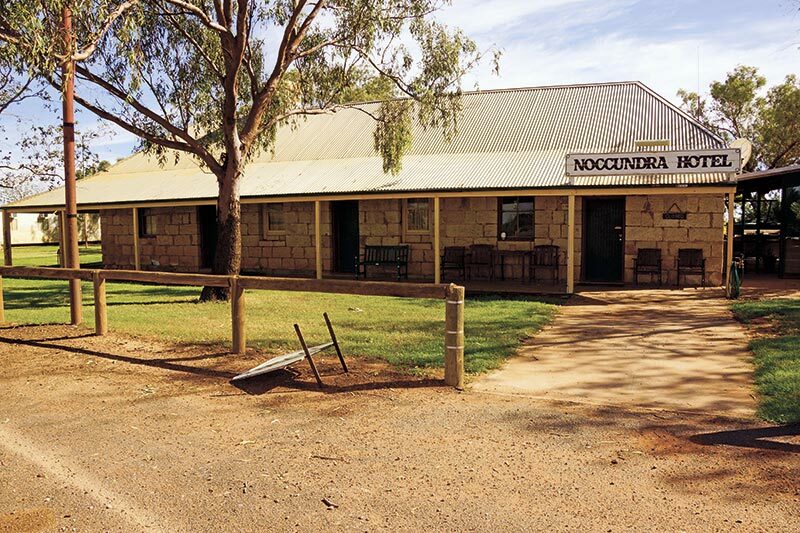 Built in 1876 by a farrier named Wiggins, the Middleton Hotel is one of the most isolated pubs in Qld, lying 200km north-east of Boulia and 164km west of Winton. Middleton Creek was named in 1861 by John McKinlay, who led one of the 1861 expeditions in search of the ill-fated Burke and Wills’ expedition leaders. The hotel is owned and operated by the Cain family, and you should find either Val or Lester behind the bar. The hotel was originally one of nine changing stations on the route of Cobb & Co coaches, and you can read the history on a board outside the pub. There is an original Cobb & Co coach, one of the Cains’ most prized possessions, parked outside the pub. Look around and you will find another couple of old coaches there to inspect.